• Avoid participating in activities that cause you to sweat. • Do not use oil-based products of any kind, on or near your eyes. • Avoid touching lashes directly. • Sleep on your side, not face-down. • Wash lashes twice each morning and twice each evening, using an oil-free eye wash. Wash twice, prior to and following any workout routine. • Brush lashes daily, from middle to the tips with your Retractable Lash Styling Wand. • Avoid applying oil-based or waterproof cosmetics and creams on or around the eyes. • Apply a translucent powder on top of any product applied to or around the eye area. Great service with even better pricing. Pre-Care Instructions: Arrive to your lash appointment with clean mascara-free lashes to begin your lash application service. Please arrive 10-15 minutes before your scheduled appointment to fill out any necessary paperwork. 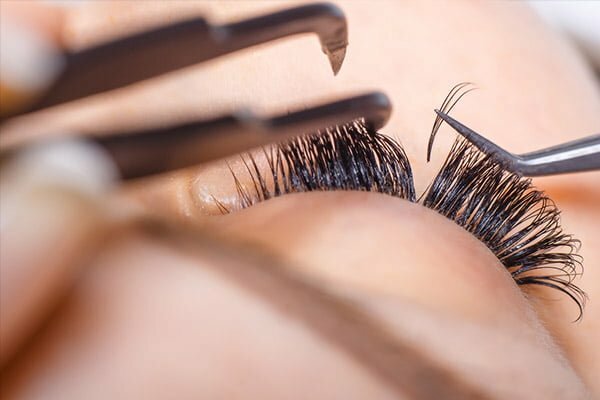 To maximize the longevity of the eyelash extension and the amount of eyelash extension application time, please arrive with no eye makeup and with your eyes and lashes thoroughly cleansed prior to your scheduled appointment. Having makeup free eyelashes will dramatically increase the life of your eyelash extensions and will also increase the amount of eyelash extensions you will have applied. What to expect: When you arrive, you will be asked to complete a client history form. The technician will evaluate and discuss your needs and expectations. You will be comfortably reclined on a treatment bed, with eyes closed. Your bottom lashes will be protected with a small under eye pad. Each synthetic lash is dipped in a medical grade bonding agent and applied to an individual natural lash. The number and length of lashes applied is determined by the desired look, as well as health and thickness of your own natural lashes. The entire procedure generally takes between 90-150 minutes for a full set and as little as 30-90 minutes for refills.